Featured with iOS battery indicator, you can easily and instantly know the battery life of your wireless sport earbuds. We believe we try our best to resolve the issues. Item Weight: 2.88 ounces. Color: Black. Mpow 5.0 Bluetooth Transmitter for TV with aptX Low Latency, Aux Bluetooth Adapter with 50 Feet Long Range and 30 Hours Long Playing Time, Wireless 3.5mm Audio Adapter (Dual-Link, aptX, aptX-LL, SBC) Blueooth 5.0 Adapter with CSR 8670 1. CSR 8670 For stable blueooth 5.0 Built-in CSR 8670 chip for achieving more stable connection. 2. SupportAPTX Support aptX Mpow for enjoy consistent, high-quality audio over Bluetooth headphones. 3. Support APTX low lantency Support aptX-LL Mpow for enjoying the freedom of wireless for applications such as gaming and watching videos. Note: Using aptX-LL must use with aptX-LL supporting devices. . Feature:1.Upgraded Mpow Business Headset -- Compared with Mpow 071, Mpow 218 features lighter weight, larger earpads and smaller in-line control panel. Mpow aims to develop comfortable and practical headset to our customers.2.Two Plugs for Different Devices -- With a 3.5mm audio plug and an USB adapter, it is not only compatible with phones, tablets, MP3s with 3.5mm audio port but also compatible with computers, laptops with USB port.3.Handy In-line Control Panel -- Easy to control microphone and speaker by the control panel in the USB cable. The control panel is also equipped with noise reduction sound card to reduce static noise during transmission.4.Flexible Microphone -- The Microphone can be bent into different directions. In order to precisely pick up . 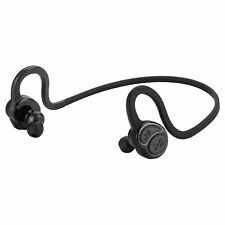 Mpow Flame Bluetooth Headphones Waterproof IPX7 Wireless Earbuds Sport Richer Bass HiFi Stereo in-Ear Earphones w/Mic Case 7-9 Hrs Playback Cancelling Headsets (Comfy & Fast Pairing) Feature: IPX7 SWEATPROOF EARPHONES: Mpow IPX7 Water-resistant Nano-coating efficiently protects sport headphones from sweat and ensure more guaranteed life span, perfect for running, jogging, hiking, yoga, exercises, gym, fitness, travelling and etc..
Trending at $19.62eBay determines this price through a machine learned model of the product's sale prices within the last 90 days. 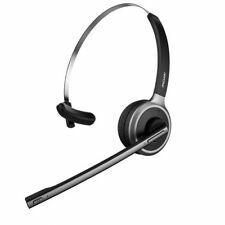 Mpow 071 USB Headset/3.5mm Computer Headset with Microphone Noise Cancelling, Lightweight PC Headset Wired Headphones, Business Headset for Skype, Webinar, Phone, Call Center . Mpow V5.0 CSR Bluetooth Receiver 16 Hours Long Playtime Bluetooth Car Adapter 66 FT Stable Connection Aux Adapter Easy Control On/Off Slider Switch & Built-in Mic for Hands-Free Calls Dual Link Feature: EXCELLENT PERFORMANCE: Upgraded Bluetooth 5.0 and CSR core technology can make the signal transmission more stable and faster. And the Bluetooth signal range of music is up to 66 feet while the phone call is 33 feet. 16 HOURS LONG-LASTING BATTERY: The built-in lithium battery with large capacity provides up to 16 Hours of nonstop music streaming, or phone call and only needs 2 hours for full charge. (All data are obtained in laboratory environment.). 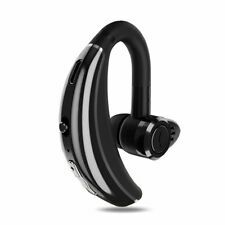 Premium Chip CSR8670 & Bluetooth 5.0: With built-in distinct chip CSR8670, Mpow Bluetooth transmitter and receiver supports latest Bluetooth 5.0 to deliver wireless audio transmission with high resolution, and represent a high-quality wireless audio performance. Stable and consistent connection within 15m/50ft range is guaranteed for your enjoyable experience. aptXLow Latency & aptXHD : The wireless Bluetooth adapter supports aptX, aptX-ll and aptXHD, which displays end-to-end audio transmission with no lip-sync delay and offers you extraordinarily high definition audio better than CD. .
Mpow 5.0 Bluetooth Transmitter for TV with aptX Low Latency, Aux Bluetooth Adapter with 50 Feet Long Range and 30 Hours Long Playing Time, Wireless 3.5mm Audio Adapter (Dual-Link, aptX, aptX-LL, SBC) The Instructions Video of this Product: Click here→ . Let your favorite songs drive you forward. Mpow Earphone× 1. Tangle resistant cable. Bluetooth Standard: V4.1. only 1.5 hours. If your headphones are IOS system, it will show the remaining battery power of the headphones on the phone screen. 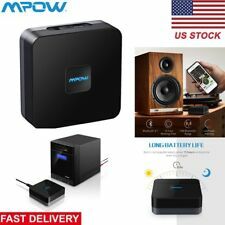 Mpow Bluetooth Receiver Series ,Quality Guaranteed!!! Mpow Bluetooth Headphones, Wireless Neckband Headset, Sport In-ear Headphones, Magnetic Earbuds with aptX Stereo, Noise Cancelling, 13 Hours Playtime Features: SUPERIOR SOUND QUALITY WITH APTX: Enjoy high-resolution music with advanced CSR 8645 chip and aptX codec and clear phone calls with CVC6.0 noise cancellation technology. ERGONOMIC DESIGN: Lightweight neckband headset and multi-size eartips (S/M/L) offer you super comfort and secure fit. Please try all eartips and choose the most comfortable one! MAGNETIC EARBUDS: They can clip together for easy holding and tangle-free use..